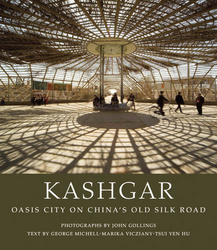 This photographic essay of Kashgar, one of the most complete historical urban centre's in China, features the photography of John Gollings. John is one of Australia's leading landscape photographers and here he illustrates the people, the architecture and the lansdscpae of Kashgar. While it's not a photography technique book, the images will give you ideas should you be visiting similar locations on holiday or travel.